*NOTE: these statistics are from the 2017 numbers, we will be updating in the next few weeks with the 2018 numbers. In the meantime check out some of our initial graphs for the 2018 statistics on our Facebook page. 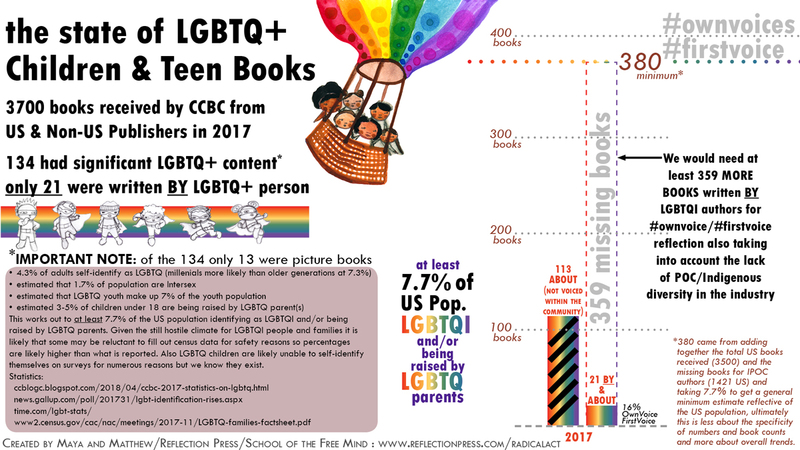 ***PLEASE NOTE: CCBC updated their statistics on books by LGBTQ authors from 21 to 56 on July 5th, 2018 (an unprecedented increase after the fact of more than double which is interesting why the discrepancy was so great). 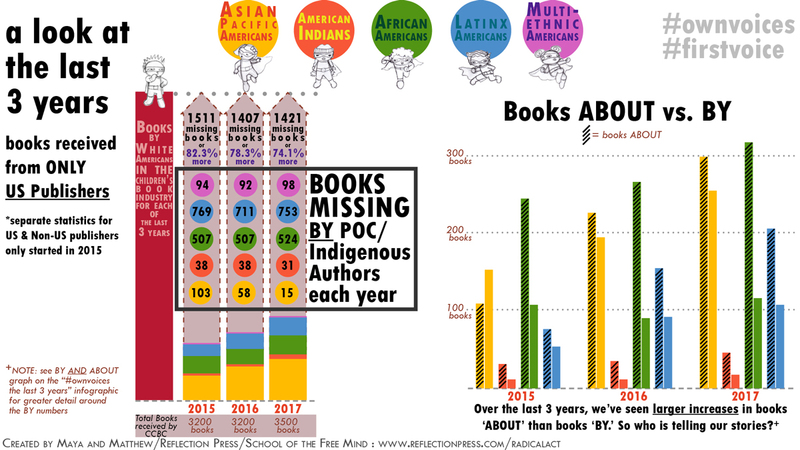 So the numbers and percentages shown in the graphs will change slightly however the majority of books are STILL written from outside the community. *Want to share and use these infographics? Feel free to spread the word! ...just please cite us when sharing, thanks! A Powerful Tool for Social Change. 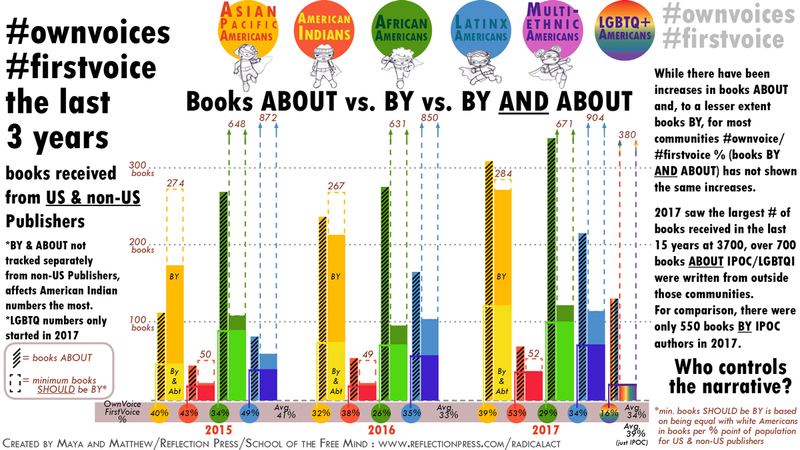 Children’s books offer the potential to engage all of our creative faculties to transform the stories we, as people of color, queer, or indigenous people heard as children that often did not include us. Using a holistic approach, creating children’s books can heal and strengthen the creator as much as the reader. 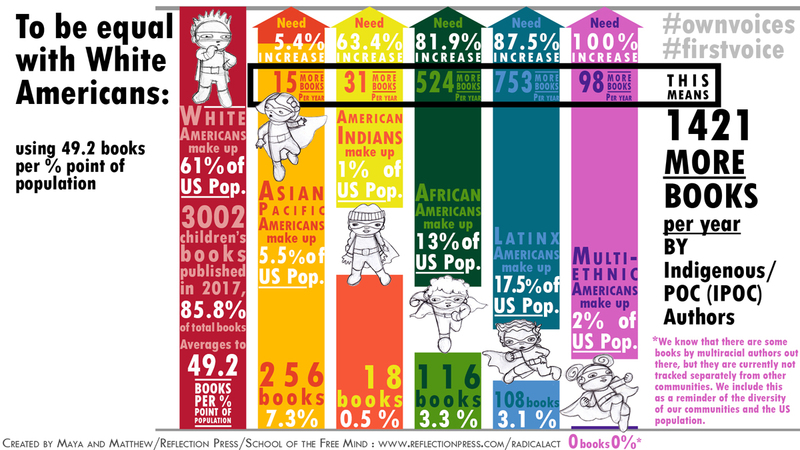 This is the potential power available through children’s books and what we want to seed out into our communities. 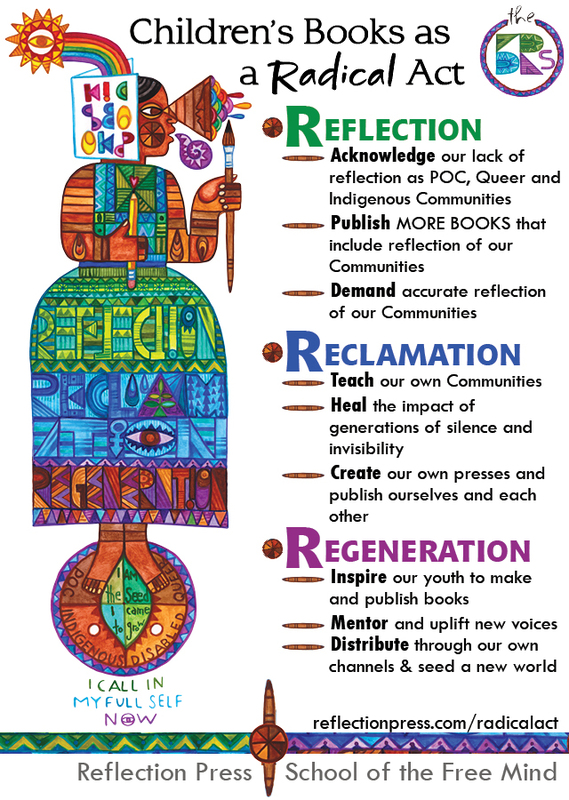 The 3 R’s—Reflection, Reclamation and Regeneration—help us envision a full and effective path of action that ultimately supports true power rising from our communities in the form of our OWN VOICES. We create books that push the bounds of publishing and support people of color, queer & indigenous voices rising. We offer children’s book courses to support new authors, illustrators, and indie publishers through a holistic approach that engages the whole person and centers our communities in the book making & publishing process. We aim to support future storytellers to retain and hone their natural storytelling and artistic abilities with a free online program for kids and families. INSPIRE FUTURE ARTISTS AND STORYTELLERS! Empower the kids in your life to Write Now! Make Books! Visit our free online program, download your field guide and follow along with the videos. We're deeply committed to this work. We wish to support our communities in coming into voice and personal power, foster a publishing revolution from within and ultimately co-create a more just and equal world. We definitely rely on the funds we bring in from book sales, classroom registrations, speaking gigs, and other sources to help keep it going. If you like what we stand for and the work we're doing and would like to help us keep doing it, feel free to send a little monetary love our way. 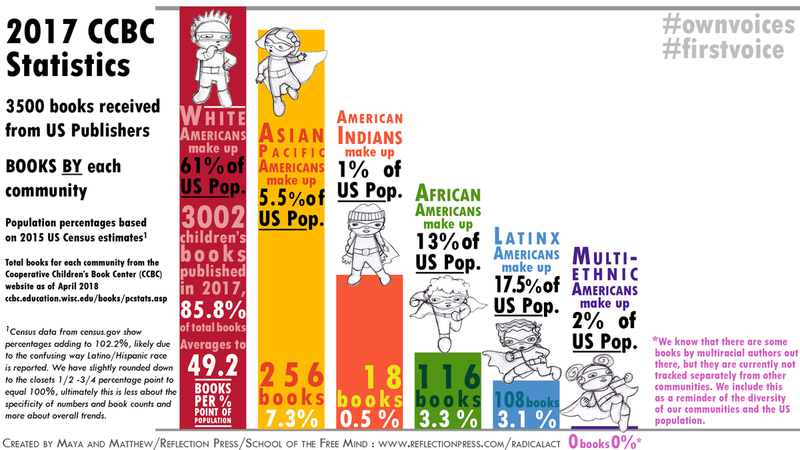 Is Equality in the Children’s Book Industry Possible? And Do We Have Time to Wait? Let’s Talk about Reparations: What Does the Publishing Industry Owe Our Kids?